Repipe Your Florida Home Today! Use a professional plumber to re-pipe your Florida home to avoid additional costs in the long run. Call Cape Shore Plumbing for professional home repiping services. When you need hot water to keep your family clean and comfortable, Call Cape Shore Plumbing for fast, reliable service to repair or replace your Hot Water Heater. Cape Shore Plumbing Responds Quickly to save you costly repairs caused by leaky pipes. Cape Shore provides 24 hour emergency plumbing repairs. When you'd like to add a new walk-in shower or relaxing bathtub to your bathroom, Cape Shore Plumbing provides honest, dependable service that you can count on! Cape Shore Plumbing is available 24/7 to service your multi-dwelling residents. We offer quick, professional plumbing services to keep your residents happy. Keep your home, business or restaurant running with water flowing properly. Get clean drains and clear pipes with Cape Shore Plumbing's High Pressure Water Jetting Service. Do you need a new garbage disposal or just need yours repaired? Cape Shore Plumbing will complete your repair or installation quickly! At Cape Shore Plumbing, we believe that any failure of your plumbing system is an emergency. It is our job to give your home or business the comfort of clean and safe plumbing all year round. Cape Shore Plumbing Offers you savings on your whole house repipe...Help is on the way! Save yourself future misery by repiping your home today. 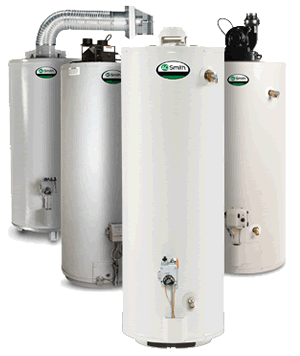 Not only is Cape Shore Plumbing honest and dependable, but we offer fast and affordable hot water heater repair and replacement service. Cape Shore Plumbing knows that it is difficult at times to make ends meet...so we offer you special savings on plumbing service you need for your family's health. At Cape Shore Plumbing and Services, Inc., customer service and satisfaction are our top priorities. Our professional plumbers provide quality, superior service for your family’s every plumbing and drain service need. Whether you find yourself with a water or plumbing emergency, you are remodeling your kitchen or bath and require installation of new plumbing and drain services, or your existing plumbing lines need rerouting, one call to Cape Shore Plumbing will provide you with the quality service that our customers have come to expect. Cape Shore Plumbing is locally owned and operated. We pride ourself on providing high quality plumbing and drain services. Because we know how stressful the need for plumbers can be, you can rest assured that when you call our 24-7 service line, you have made the best decision you could have to eliminate that stress. We are a fully licensed and insured plumbing contractor and provide a broad range of plumbing and drain services so that you, as our customer, have only one phone call to make to guarantee that all your plumbing problems will be addressed swiftly and professionally. One call to Cape Shore Plumbing , SWFL’s 24-7, fully licensed and insured plumbing contractors, and you can rest assured knowing that your plumbing systems will be promptly and courteously serviced and the work guaranteed. We are a small, family-owned, local plumbing contractor. To our customers, that means that we treat each job as though we were doing it for our family or friends. We offer realistic estimates, prompt and courteous service, and our plumbers strive to fully satisfy our customers from the moment we answer your call. When we arrive at your residence or place of business, we treat you and your property with respect, provide a timely solution to your plumbing problem, and guarantee our work so that you can maintain peace of mind. Whether you have a plumbing emergency, a planned remodel, or a whole house repipe, Cape Shore Plumbing is the local plumbing contractor that will best service your plumbing and drain service needs. Call Cape Shore Plumbing today at (239) 677-9544 and take the first step toward hassle-free plumbing repairs, installation and remodeling. We will handle your plumbing emergency or planned plumbing services work while providing you with the peace of mind that you deserve. Why Choose Cape Shore Plumbing for Your Plumber Repair Needs? You will also benefit financially in both the long term and the short term by choosing Cape Shore Plumbing to complete your kitchen or bathroom remodeling. We will assist you in choosing appliances that are the best for your remodeling plan and budget and that are cost-effective to operate. By choosing Cape Shore Plumbing, you also know that the work is guaranteed. Why choose a nationwide franchise to complete your remodel when Cape Shore Plumbing, your local plumbing contractor, offers timely, personal service to your complete satisfaction. We Give You Our Word and We Stand By Our Work!